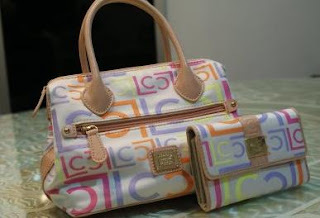 Fan of Liz Claiborne handbags? This set, will be just perfect for you!! Selling for only RM350, you'll definitely love them!! Each and every woman requirements is to have the particular ideal apparel to complement her style and personality. Handbags are regarded seeing as the particular cherry on top to total every little thing that goes along with a woman's clothes.